At some stage, every parent will need to read this type of book. It may be when your child leaves home in anger. Perhaps it will be when they are caught for drug use. It might be when your child is the church kid found stealing beer from friend’s garages. Perhaps when worry and anxiety have gotten the better of you. Or when you start to wonder if God really is sovereign and good when it comes to your child and their salvation. 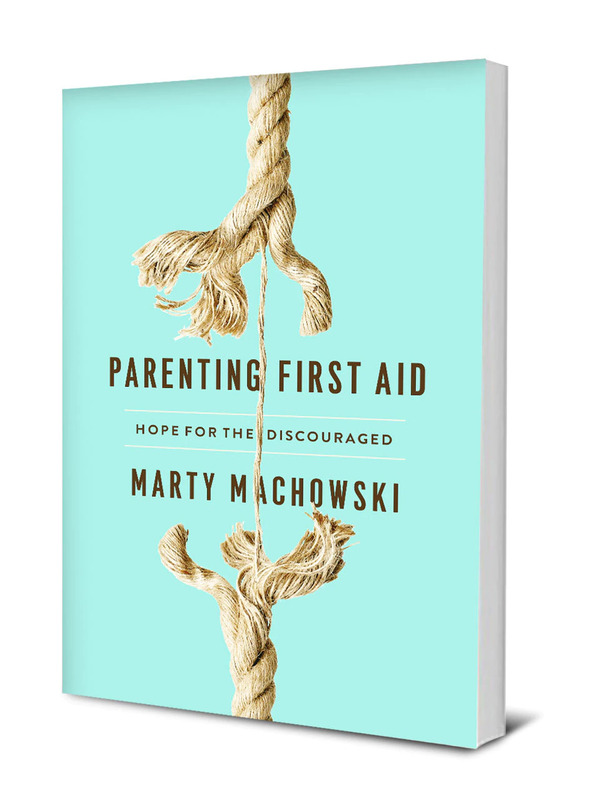 With the subtitle being: Hope for the Discouraged, Machowski enters where many other parenting books leave off: what do you do when things get hard? Are you going to turn to God or are you going to try your own strength? Are you going to trust him and his good plans, or reject them when things seem to be falling apart? I’ve written Parenting First Aid as a wartime medical kit for parents in the thick of the battle … The goal is to encourage your soul with the Scriptures, to help you gain strength to trust in a God who can capture the heart of the most rebellious son or daughter, and to help you through the most heart-rending parenting situations. How difficult could parenting be? I planned to simply drive the foolishness from my children with consistent, loving discipline. I firmly believed the Bible verse that promised that if I simply trained my children up in the way they should go, they would not depart from it. [no book or method could] prepare us for the trials God had planned for us to go through. God wasn’t just after the hearts of our children; he was after our hearts too. Rather than another parenting manual which gives advice and suggestions for how to do things better, Machowski has written a devotional. Each of the 20 themed chapters is anchored in a section of the Bible, which is expanded in three parts and finishes with a personal story. Each part raises questions to consider and things to pray about. For parents who take the time to dwell over them, it could become a way to read the Bible over a few months as you consider God’s promises and live in light of his grace, mercy and patience. His goal is to drive parents to scripture and prayer through all stages of parenting, especially in the challenges. Parents who are looking for a list of dos and don’ts may not be interested, but they will miss out on a chance to soak themselves in God’s promises and care throughout this stage of life. God is sovereign, he loves your children, and he is working for good both in your heart and theirs. I’ve written the real-life accounts at the end of each chapter to encourage parents with stories of hope and rescue, they are only snapshots into lives of real people who continue to struggle and endure… There are other stories I have not included in this book—ongoing tales of sorrow and heartbreak that God has yet to resolve. I know parents whose children have not yet returned home and remain prodigals. There are parents whose children claim a relationship with Christ but are living for the treasures of this world. Still other parents are estranged from their children and are fervently praying for a restored relationship. In short, this world we live in is broken. Our hope is not in this life, but in a life yet to come. If God has not yet answered your prayers, do not give up. There is no hope in giving up, but there is great hope in trusting God for the salvation of our children and the restoration of our relationship with them. This book is suitable for any parent at any stage, including single parents and parents of adult children. There is no assumption in this book that life is neat and ordered for anyone, but that we are all fallen and need grace. If you’re struggling as a parent, there is much in here to remind you of the truths you already know, but may perhaps have forgotten: God is sovereign, he loves your children, and he is working for good both in your heart and theirs.